MEprotect increases plant availability and safety by its robust protection functions, while optimising the link between the control system and the electrical asset base, allowing significant savings to be made during installation, commissioning, operation and maintenance of the assets. 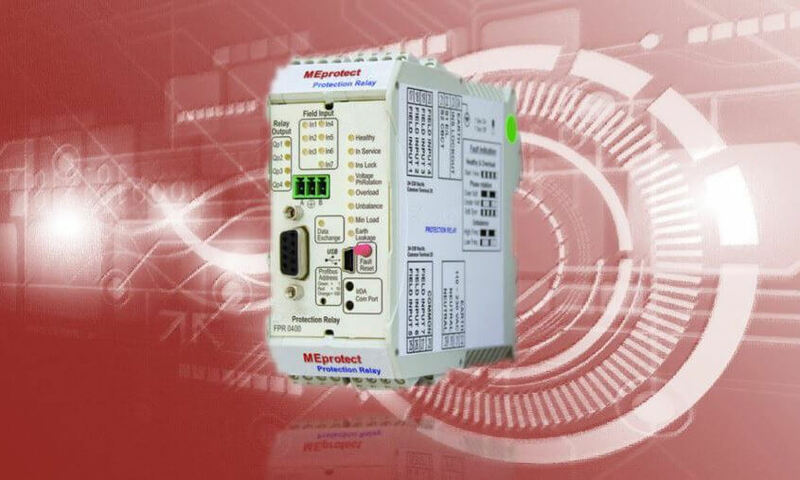 MEprotect is a flexible and modular intelligent protection system for low and medium voltage motors, distribution, transformers and electrical generators. Using a common hard and software platform, it is designed to scale from simple to highly critical applications. The primary function of MEprotect is to protect and control critical electric assets: motors, generators, distribution feeders and transformers in their most diverse industrial applications. Due to its minimal size and modular design, the relay is ideal for use where space is a key criterion, e.g. in Intelligent Motor or Power Control Centres (MCCs / PCCs). Its high reliability and robust construction make MEprotect suitable for the toughest industrial applications. Its on-line monitoring functions, equipment failure diagnosis and failure statistics allow preventive maintenance to be more effective, thus reducing asset downtime. The MEprotect relay is fully configurable with the aid of either the MEprotect/emp software or a human machine interface unit (HMI). Access to the unit to operate, configure and change parameter settings is strictly password protected – multiple access levels are defined for each of these actions. Event records can also be downloaded with the aid of the laptop for further analysis. The relay includes an on board database where time and date stamped records are kept. Two types of records are kept namely fault records (35 last faults) and sequential event records (1400 events). In the case of event records, the user has limited access rights (read only). The MEprotect/emp application also has an additional (PC-based) data recorder and a spectrum analyser which can be used to analyse machine performance, supply power quality, etc. The spectrum analyser can detect harmonics up to the 9th harmonic on any of the three phase currents. MEprotect/emp is a Windows application for configuring and monitoring your protection relay. It connects to the MEprotect relay via USB, secure Bluetooth (useful since there is no need to open panel doors to connect) or via Ethernet if the network communication expansion module is present. Events log (last 1440 events): same data as fault logs but including events, warnings, etc. Logic engineering: control functions including alarm flags, trip flags, timer outputs, function-block outputs, RTC output, starter outputs, digital field inputs, PLC inputs, creation of functionblocks (FBs), etc. Simulation: interactive or pre-programmed injection of current, voltage, fault, phase angle, etc. information to test PBs and related control and FB logic. Also useful as a training aid for maintenance and operational personnel.